Crafted in 18ct white gold and set in classic claw setting. Total carat weight 0.97ct G Colour SI Clarity. 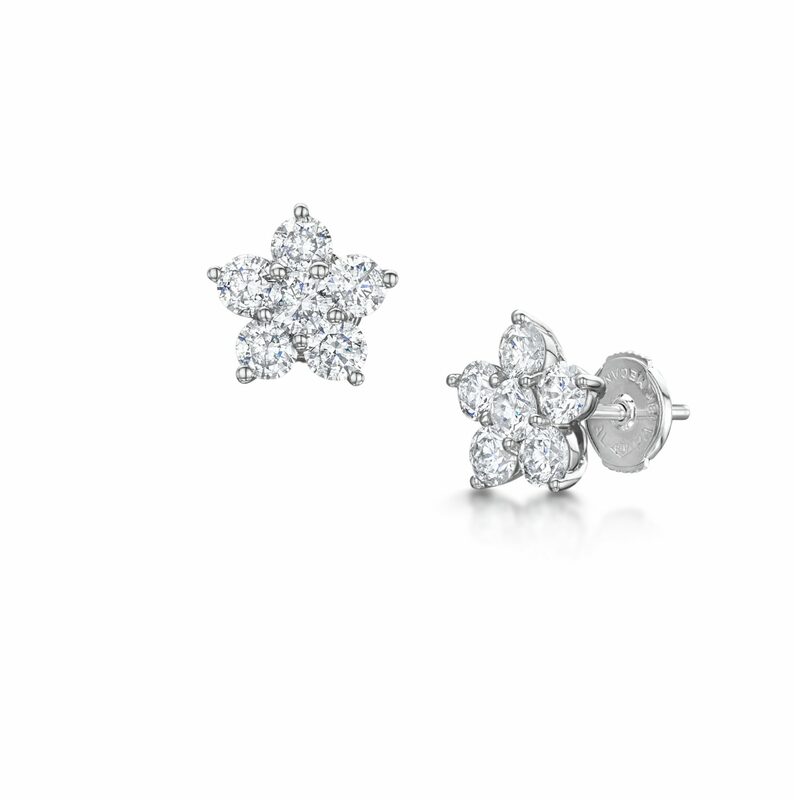 Our Beautiful Lotus Diamond Stud Earrings Are Set With Twelve Round Brilliant Cut Diamonds & Crafted In 18ct White Gold.